A Royal Stewart tartan mini-kilt, light and comfy, perfect worn as a skirt. This Royal Stewart tartan mini-kilt fastens with two metal buckles. 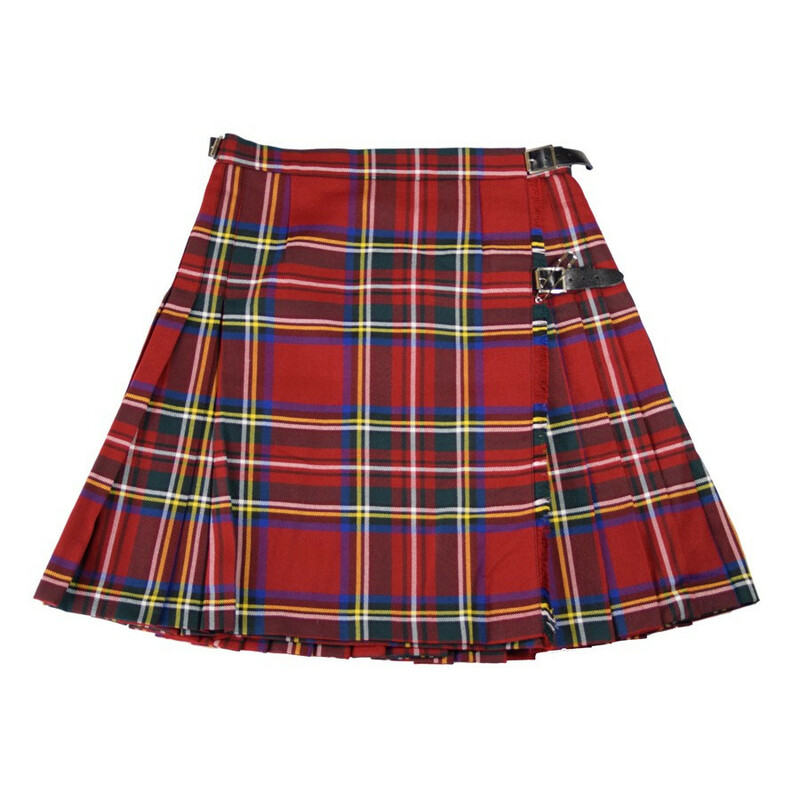 Comfy and light, this versatile poly-viscose kilt is perfect worn as a skirt or part of a costume. 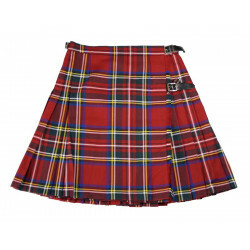 Royal Stewart is a well-known tartan composed of large red under checks, with contrasting blue, black and yellow bands. This is the most famous tartan of the Stewart's and Elizabeth II's personal tartan. Her Majesty's subjects are allowed to wear this tartan, also part of many official garments. 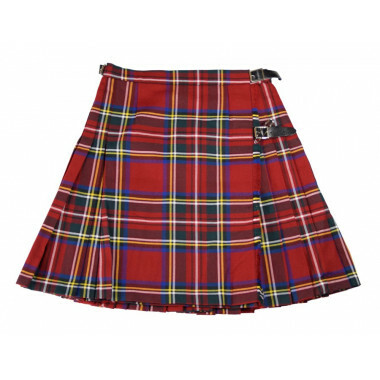 The Royal Stewart tartan also became a famous design of punk culture. This article is a special order. Your size might be available in store or delivered within a two months delay by our supplier. For any online orders, please contact our Customer Service at +33 (0)2 98 85 47 37. Poly-viscose (blend of viscose & polyester).